Stealth is a difficult thing to get right in gaming, and it’s something developers have been trying to nail for decades. Do you go down the GoldenEye route and encourage the player to sneak around while still giving them the option to go all guns blazing should they so desire? Or do you go for a strictly stealth-only affair where players are punished the moment they’re spotted (bow your head, Ocarina of Time’s castle grounds)? Aragami leans more heavily towards the latter of these examples, though it isn’t quite as harsh. You play as the titular Aragami, a shadow spirit who’s been summoned by a girl called Yamiko. She’s been captured by the Kaiho, an army that uses special weapons powered by light. It’s up to you to make your way through the game’s 13 chapters – using your numerous shadow powers to either avoid or kill the Kaiho standing in your way – as you attempt to reach Yamiko and find out more about what’s going on. It’s a fairly mundane plot at first, but it does get more interesting as the game progresses. The same could be said about the actual game itself, in fact. When you initially start off, you’re armed with a single skill, the ability to turn into a shadow and instantly teleport to any other nearby shaded area. Before long you’re then given the ability to create temporary circular shadows on lit floors or walls, allowing you to teleport there, too. These are interesting enough mechanics, but they also mean that for the first couple of hours things start to feel a little repetitive. You do eventually get to upgrade and add new skills by collecting scrolls; some of these are minor but useful additions, like the ability to tag enemies so you can track them, or making bodies disappear so that can’t be spotted. Others are larger upgrades that can change the way you approach each situation. The ability to throw kunai knives from a distance, or place bombs that can be remotely detonated, for example. 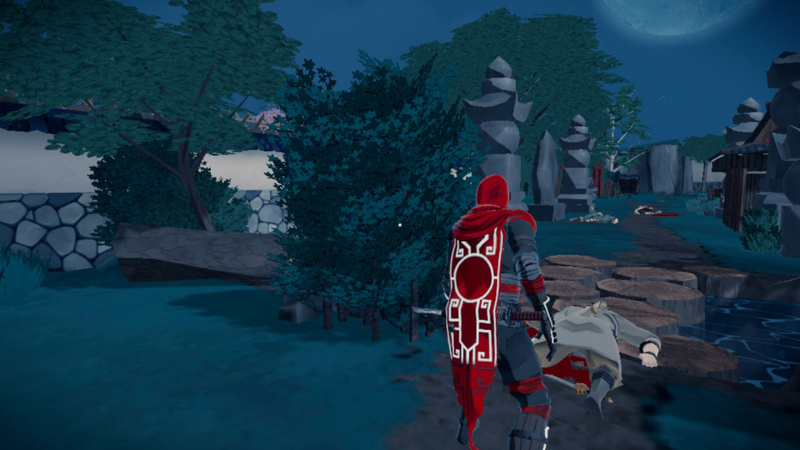 By the time the game nears its end and you’re kitted out with a full range of abilities it’s a far more enjoyable adventure, but for the most part your initial time with Aragami will be spent with a handful of skills, teleporting around small stages patrolled by guards, meaning you’re going to need to have a little patience before things properly kick off. Depending on your mood, you can choose to play through the game in one of two ways. If you’re the peace-loving sort, you can try to make your way to the end of the stage without being seen by the numerous Kaiho guards, allowing them to happily continue their patrols, blissfully unaware that you just infiltrated their defences. Alternatively, if you’re the sort of person who feels you aren’t doing your ninja duty unless all of your foes taste cold steel, you can choose to go 'full ninja' and stealthily pick them off one by one. Whichever you choose, not being seen remains the order of the day; as we stated already, this isn’t a GoldenEye or Splinter Cell situation where being spotted just means things switch from a stealth game to an action game. Your enemies are armed with the power to fire huge waves of light from their swords, which kill you with a single touch; this essentially means that once you’re spotted, you’re as good as dead. The only exception is playing on the easiest difficulty, where they’re so comically slow to react you can run straight at them and plunge your sword into them before they have the chance to get their sword out – like that famous bit in Monty Python and the Holy Grail – which sort of removes any real sense of a challenge. 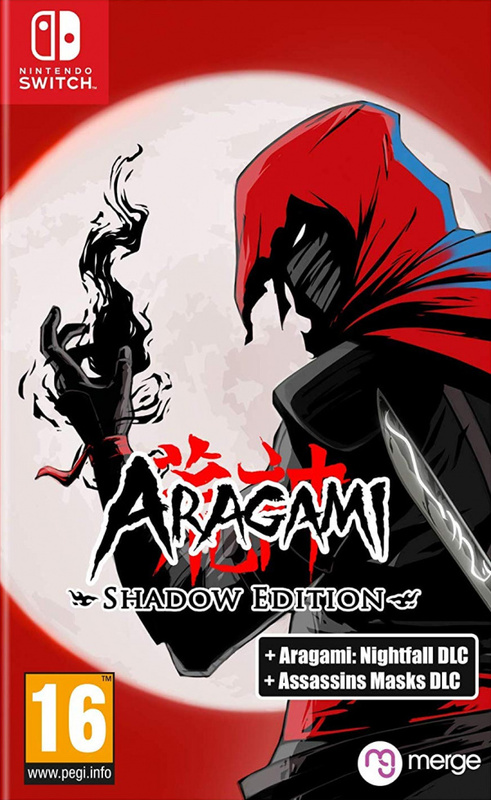 Aragami is very much a ‘hiding in the shadows’ type game, then, to the extent that its inventive HUD (or lack of one) is based on that concept. Aragami has an ornate cape hanging down behind him, and the design on this cape actually shows your current shadow energy and how many uses you have left for your special abilities. As you use your various skills, this design will start to disappear, and when you move into a shadow your entire outfit turns black and the cape’s design begins to fill in again. It’s an extremely cool look, made more striking by the game’s cel-shaded art style. It’s not without its issues, however. The shadow teleportation trick seems to be a bit hit and miss at times, especially when you’re trying to teleport onto higher platforms and structures. There’s a (tiny) cursor that turns blue when you’re able to teleport, but during the odd occasion when you have to teleport in a hurry it can become quite frustrating trying to quickly determine which areas you can and can’t move to. Your complete lack of ability to jump or climb is also frustrating, and it can be particularly annoying when your hero – who’s supposed to be a ninja, lest we forget – can’t step up to a ledge that’s knee height. 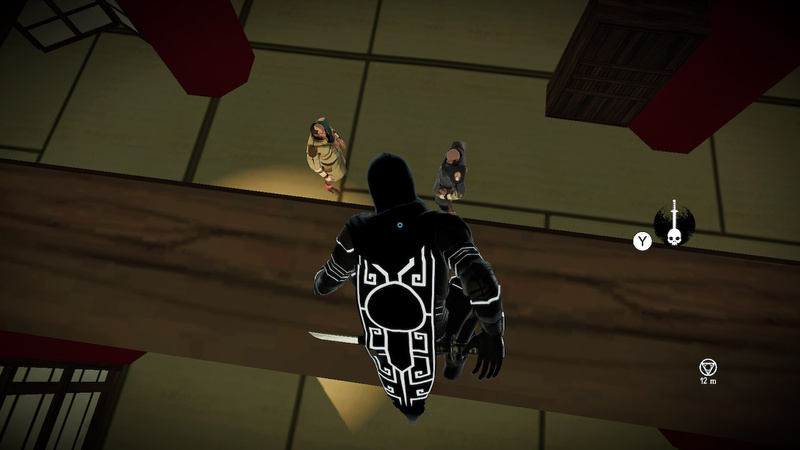 Get over these niggles and you’re left with a pure stealth game that should appeal to fans of classics like Tenchu, even if it doesn’t quite surpass them. Even better, this Shadow Edition also includes the Nightfall DLC expansion, which includes a handful of new chapters and introduces a pair of new characters, helping to mix things up a bit and provide new environments for you to stealth the living hell out of. I was on the fence cause this just looks really pretty, but it sounds like precisely the kind of game I would get super annoyed with and would end up sitting in the dark corners of my backlog lol. Money saved! I’m on the fence on this one too... Maybe after I take care of some backlog I can look into this some more. For such a short review with only one nitpick listed, the score of 7 out of 10 feels unwarranted. Feels more like an 8 out of 10. These previous two comments are exactly what I feared, that people would look at this one excuse and think the game isn't for them due to the average score. I have a friend that loves this game and he never once mentioned the warping issue to me. If you think you will like it and you like stealth games, get it. Having played the main campaign multiple times before in both pacifist and “Oni” styles (to borrow the game’s term), I’d definitely give it closer to an 8, probably some decimal in the upper sevens. It’s no Dishonored, to be sure, but it’s a solid little gem of a title despite its oddities and the occasional flaw. "Sadly not about a ninja folding up paper." @FlameRunnerFast I'm not a big fan of stealth games, the ones I've tried I just don't stick with. This one looked really good visually but the lack of jumping/climbing abilities just turns me off entirely. I'm sure it's an awesome game, I just don't think it's for me. How’s the co-op? Didn’t see much about it mentioned in the review. Can the full game be played with a friend? Split-screen, online only, wireless co-op? I figured this game would be both impressive and disappointing at the same time. 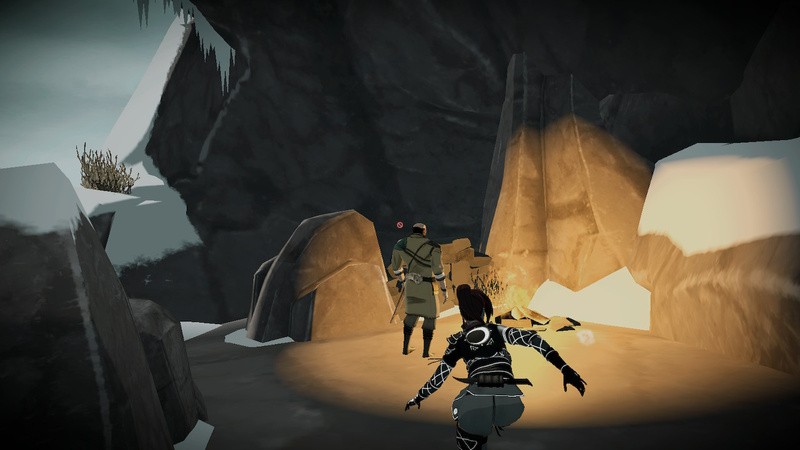 For an indie effort it looks great, and I love how it takes influence from Tenchu. 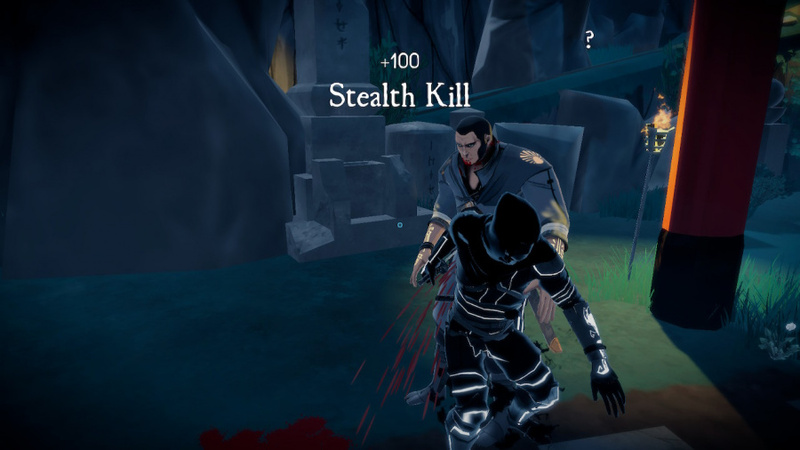 However, there were a lot of things that I didn't like about it as well such as the Dishonored style warping around, lack of blood when you assassinate someone with a sword, and how bad it looks during fights. @Fake-E-Lee I agree. I was really hoping it was more on the freedom side of stealth. Plus no jumping in a ninja game? Sinful. As a Tenchu fan in my teenage years, I'm anxiously waiting for this. I've been interested in this for a while now. It sounds like a welcome break from the norm. It will have to get in line, though, as there are way too many games I've wanted for a lot longer. For those who worry about the "low score", it is scoring very solidly all over the Web. Every version of it has a Metacritic score of 78-81%, with the universal caveat that it is strictly for dedicated stealth fans. @ilikeike There actually is an origami ninja (called "Paper Star") in the new Carmen Sandiego Netflix cartoon. Anyway, I'm not into stealth games, but it sounds good for those who are. Don't forget that 7/10 on this site is still a good score. You’re a ninja... who can’t jump or climb... WTF? !